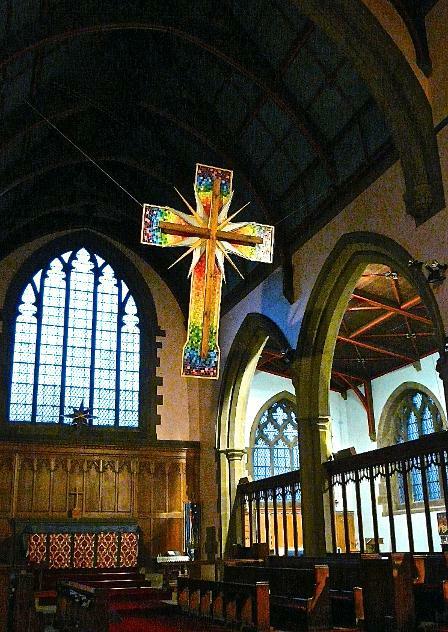 Our Resurrection Cross, inspired by Allen Haigh and put together by everyone in our congregation. PARISH COMMUNION FOR EASTER DAY AT 11.00AM. We are a friendly bunch of folks and come in all shapes and sizes, from different backgrounds, but the one thing we have in common is that we were all once new to church. Growing together, learning together, helping one another and trying to live by the wonderful values expressed in the life of a man called Jesus makes a real difference in our lives. If you are new to this site, we want to say a great big hello and let you know you are extremely welcome here at St. Barnabas Church, Crosland Moor in Huddersfield. Please take a close look at all the pages on our website. ​PLEASE CLICK ONTO OUR SAFEGUARDING PAGE.